Founded in 1910, Hino Motors, the Japanese auto manufacturer of commercial vehicles is a subsidiary of Toyota Motor Corporation. The company entered India with the name Hino Motors Sales India collaborating with Marubeni Corporation of Japan in 2008. 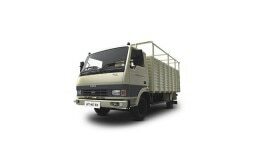 Hino trucks in India are mainly targeted towards fleet owners, construction and mining, supermarket logistics and other applications. Price of Hino trucks in India starts at INR 36 lakh and the most popular ones are Hino 500 FM8J and Hino 500 FL8J, all which comes with superior cabin comfort, durability and demands low maintenance. The company conforms to the latest BS-IV norms, thus maintaining a responsible balance with the environment as well as technology. Hino Motors Sales India with the vision to stand shoulder to shoulder with the growing economies of the world has plans to introduce light commercial vehicles in the Indian market. The company in near future will be setting up a manufacturing facility with an aim of localization and targeting overseas markets.